For more than five decades, Woody Allen has been one of the most critically acclaimed talents in American cinema. Allen has been nominated for best director seven times by the Academy of Motion Picture Arts and Sciences—winning for his 1977 film Annie Hall—and he has received more Oscar... read more nominations for best screenplay than any other individual. But Allen’s accomplishments are not limited to the big screen. In addition to writing and directing nearly fifty films—many of which he starred in—Allen has been a television writer, a stand-up comedian, a playwright, and the author of several short stories. 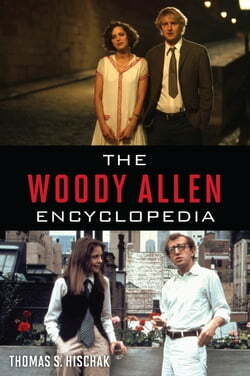 The**Woody Allen Encyclopedia is a compendium of information and commentary about every aspect of Allen as an artist. In this volume, Thomas S. Hischak details all of Allen’s works for the cinema, television, and the stage, as well as all of his fiction; his comedy albums; his performances in other directors’ movies; and even documentaries about him. In addition to such critically acclaimed films as Sleeper, Manhattan, Hannah and Her Sisters, Zelig, Crimes and Misdemeanors, Match Point, and Midnight in Paris, entries in this volume feature many of his collaborators, including actors, actresses, cinematographers, editors, designers, producers, and cowriters. This resource also highlights themes in Allen’s work, the music he utilizes in his films, and his working methods, as well as box-office figures and awards. An extensive and comprehensive overview of this artist’s remarkable career, The Woody Allen Encyclopedia is a must-have for film aficionados and will be of great interest to all readers, from professors and students to Allen’s most devoted fans.